Last week I had received new that there were two new penny machines put on stage at Downtown Disney (soon to be renamed Disney Springs). There is a lot of changes happening to Downtown Disney in addition to the name change, there are new restaurants and shops opening over the next year or so. As with any new machines I find out about I immediately reached out to some of my contacts in Florida and was able to acquire the pennies from one of the new machines. This new machine is currently located at the Marketplace Fun Finds store which is over by the Rainforest Cafe and next door to Goofy’s Candy Co. This is a great little shop that has inexpensive gifts and the famous Grab Bags with mystery items inside. My friend told me that the penny machine worked without any issue, and as you can see from the picture below the designs came out great. The four designs are of Mickey, Minnie, Donald and Goofy with a nice dotted border and their names in block letters. The designs are pretty simple but still have great detail. The second new machine is located down in the West Side of Downtown Disney at the Cirque du Soleil gift shop. I’m still trying to acquire these new coins and will be sure to share details about them as soon as I get my hands on them. With everything going on at Downtown Disney it’s great to see some new penny machines going on stage. 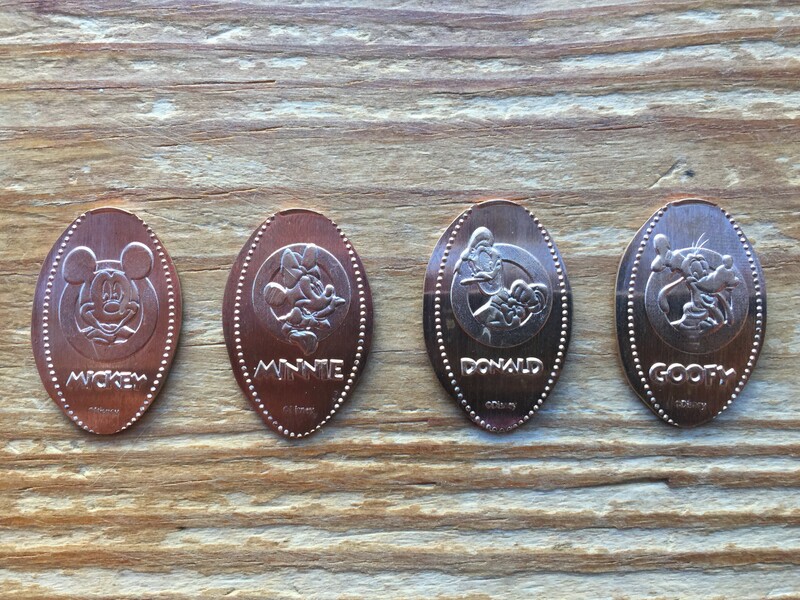 I visited a few years ago and collected all the coins at that time and none of the designs had changed since then. Hopefully these aren’t the only new machines to appear before Disney Springs is completed.